← Terran up a Holiday Stocking! 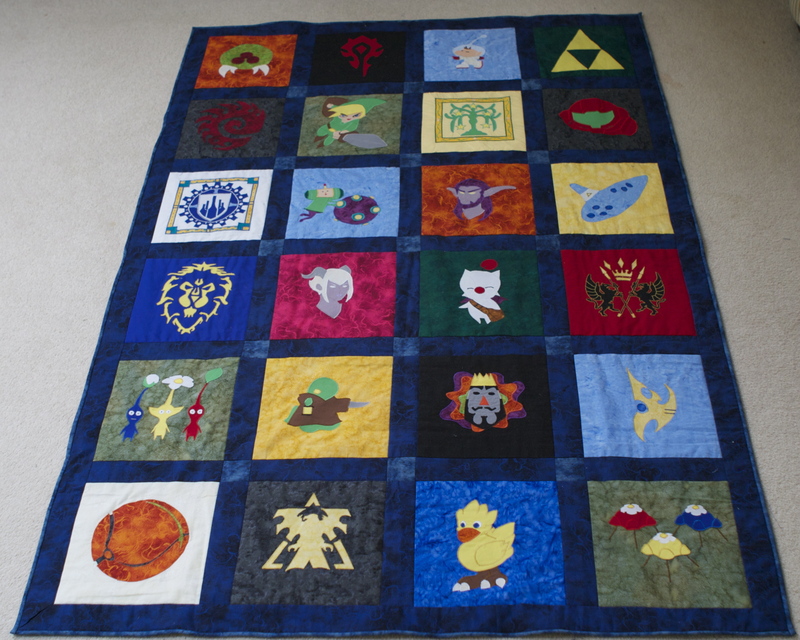 Well finally… after many trials and a few frustrations… the Video Game quilt, aka my first quilt) is finally done! So here is a ginormous photo so you can appreciate it in all its glory. If you click on the photo below… the original image is quite large. I love so many of these squares. I only wish I knew when I started all the things I know now so I'd be better at the execution of them!